I know that right about now you're probably thinking, Erin, a chipotle biscuit doesn't really qualify as dessert. At first, I was thinking that exact same thing, but then I changed my mind. Here's why. 1) This recipe is from the Baked cookbook and 99% of the recipes in that book could be served as a dessert. 2) Biscuits are pretty much a dessert food. I mean they are a fairly large component of strawberry shortcake, which is undeniably, a dessert. 3) Biscuits are usually eaten with breakfast, most often with a sugary jam on top, and let's face it, unless you're eating bacon and eggs, breakfast is basically dessert. So, there you have it. Even though we ate these biscuits during a meal and not after it, I think I've made a pretty strong case for including them on the dessert menu. The biscuits themselves were mighty yummy. The chipotle giving them a nice, comforting, smoky flavor. The only thing I would change the next time around would be to maybe use a little less chipotle powder. Baked actually recommends using less spice, if you don't have much heat tolerance. I went with the full dosage, and the chipotle powder that I used was fresh, so the biscuits ended up being a little too spicy for me. That said, they were so yummy that the fact that my mouth was a little burny didn't stop me from eating three of them! I just think it would have been a little more enjoyable with less powder, but it all depends on what you can handle. 6. 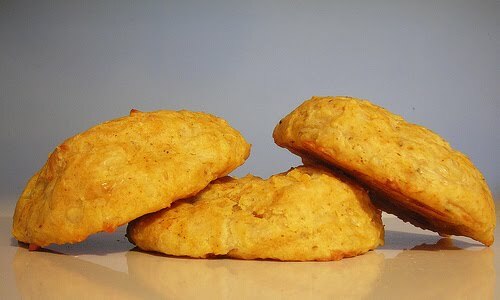 Transfer the biscuits to a cooling rack. 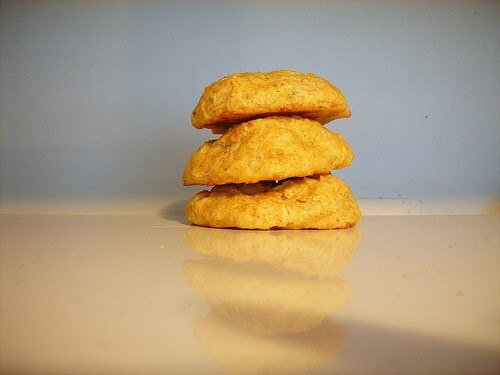 The biscuits can be served slightly warm or at room temperature (we like them slightly warm). 7. Store the biscuits in an airtight container for up to 2 days. I definitely think they qualify as dessert. Hey, it's like a cheese course at the end of a meal, right? Plus, with a drizzle of honey, I bet they would be even more spectacular. Seconded! 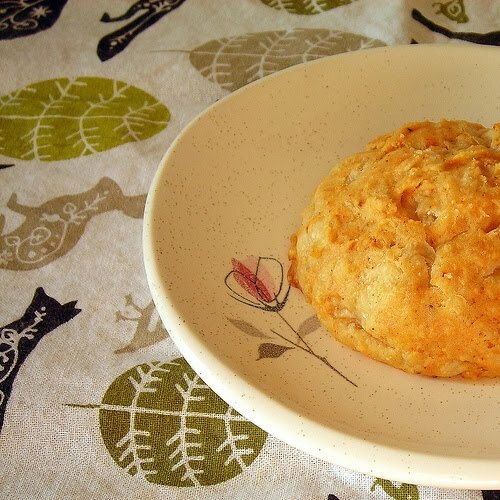 I love cheesy biscuits :-) And thank you for your kind comment on my most recent blog post! They were amazing! I want more right now! I thought the spice was fine but I enjoy spicy food! I bet they would be good with gravy. Mmmm, biscuits! Good point, Carolyn! Cheese is, sometimes, dessert! Your scones look delicious! This recipe has been on my to-bake list ever since I bought the cookbook!